Manufacturer of a wide range of products which include reciprocating compressors, industrial reciprocating compressors, aluminium block piston compressor, belt driven air compressor, elgi air compressor and high pressure compressor. We are engaged in offering Reciprocating Compressors. These Belt Driven Air Compressor are designed for continuous duty application. These single-stage cylinder belt driven reciprocating compressors are reliable workhorses and provide an airflow range of 4-9 cfm. To meet the variegated demands of customers, we are engaged in offering Industrial Reciprocating Compressors (Reciprocating Compressors). These Belt Driven Air Compressor are designed for continuous duty application. These single-stage cylinder belt driven reciprocating compressors are reliable workhorses and provide an airflow range of 4-9 cfm. With our immense domain expertise, we are involved in offering Aluminium Block Piston Compressor. The provided piston compressor is manufactured using excellent quality components and advanced technology at vendors’ end in line with industry norms. Apart from this, we offer this piston compressor in diversified specifications and designs as per the needs of our clients. Used in nitrogen generation plants, power generation, sugar industry, textiles, power generation and food processing, our quality examiners test this piston compressor on different parameters so as to maintain its quality. 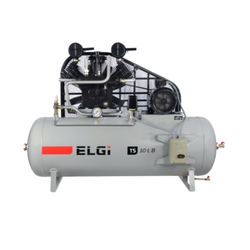 To meet the variegated demands of customers, we are engaged in offering Belt Driven Air Compressor. These Belt Driven Air Compressor are designed for continuous duty application. These single-stage cylinder belt driven reciprocating compressors are reliable workhorses and provide an airflow range of 4-9 cfm. 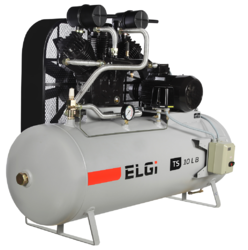 We are ranked amongst the renowned organizations that are engaged in offering the best quality range of ELGI Air Compressor. 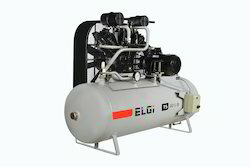 Offered air compressor is well-manufactured at “Elgi” using quality assured components and latest technology. 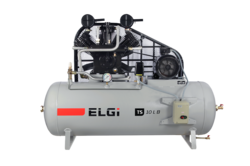 The provided air compressor is widely appreciated by our clients for its superior functionality and optimum performance. 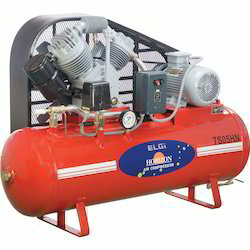 This air compressor is available in various technical specifications as per the requirements of our precious clients. 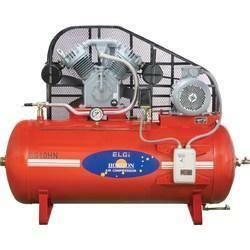 We are instrumental in offering a quality-assured range of High Pressure Compressor. Our products are made available in varied specifications to cater to the requirements of various industries and sectors. These compressors are durable and show longer life working. This product is suitable for usage in the range of 30-40 bar for applications like an engine starting, circuit breakers and marine applications. To meet the variegated demands of customers, we are engaged in offering Horizontal Reciprocating Compressor (Reciprocating Compressor). These Belt Driven Air Compressor are designed for continuous duty application. These single-stage cylinder belt driven reciprocating compressors are reliable workhorses and provide an airflow range of 4-9 cfm. Find extensive applications in many industries to compress natural air, this Industrial Single Stage Air Compressor is made available with us in various specifications. The offered compressor is accurately designed and manufactured by our adroit professionals using unmatched quality basic components and state-of-art techniques at our in-house production unit. Further, we ensure our clients that the offered Single and Two Stage Compressor is rigorously tested on set qualitative parameters to enhance their flawless nature. 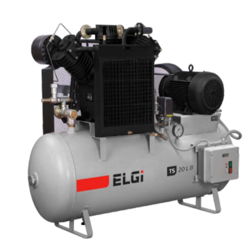 Supported by the huge industry expertise of more than a decade, we have been able to offer the optimum quality Industrial Two Stage Air Compressor. This product is manufactured under the stern supervision of deft professionals with the help of advanced techniques and superior quality components. The offered separators are used for separating the oil from other substance in different industries. 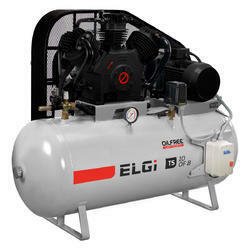 In addition to this, our customers can get these Air Compressor at the most economical prices. We bring forth our vast industrial experience and expertise in this business, involved in offering Oil Lubricated Piston Compressor. These Oil Lubricated Compressors are available in two ranges of single and two stage compressors. Our product range is known for its rugged construction and trouble free performance. PET Air Compressor are ideal for PET bottle blowing applications which operate with semi-automatic machines. 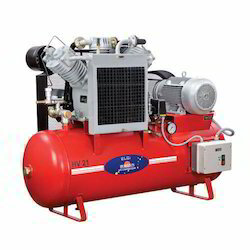 We are engaged in offering Reciprocating Air Compressor that are fabricated using latest and advanced techniques of production. These are widely demanded by clients for high durability, optimum performance, easy installation and low maintenance. Due to these features, our compressors are used for distinctive cooling system applications. We also provide customization of our range to cater to the distinctive needs of our clients. The given product is acclaimed in the market for its impeccable performance, strong construction, and robust design. Moreover, we offer these at market leading price. We offer a wide range of Small Aluminium Block Oil Lubricated Compressor to our esteemed clients. This product is a direct drive aluminium compressor block in a recognizable arrangement. They allow for a light-weight, compact installation. The high-efficiency motor and efficient cooling make sure the compressor always performs optimally, even in harsh conditions. These products are designed, built and tested to meet the toughest railway conditions. 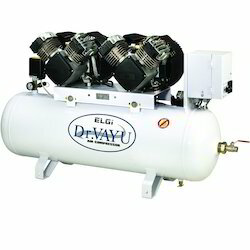 Dr. Vayu Oil Free compressors also available. Due to continuous engineering improvements, specifications are subject to change. Pictures shown in this page are representative and not the entire range. This product is manufactured using quality-tested raw material and sophisticated techniques as per set industry standards. Small Aluminium Block Piston Compressor is tested on defined quality parameters to assure flawless nature. Our offered range of Small Aluminium Block Piston Compressor is widely acclaimed amongst customers.